The good news is that NASA researchers have spotted an Earth-like planet outside our solar system, one that's composed mainly of rock and iron, and also has similar mass and density. The bad news is the planet, named Kepler 78b, is basically a lava hellhole that definitely isn't a place you'd want to visit. 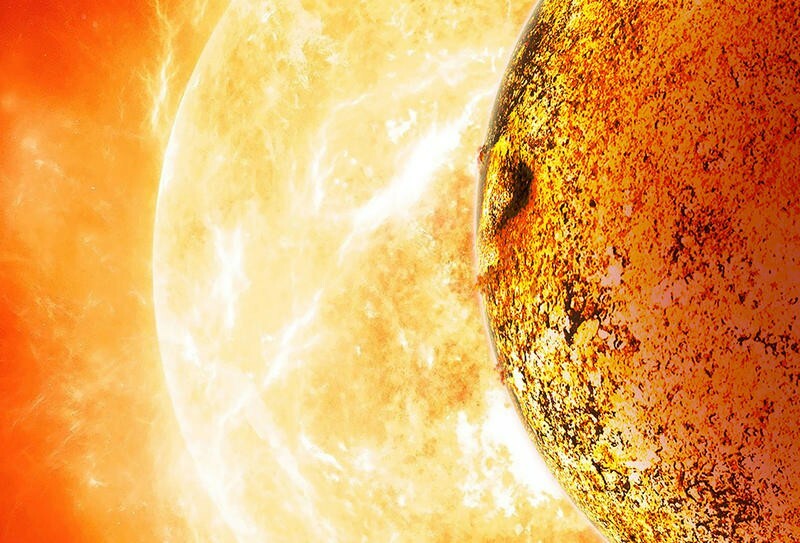 Scientists estimate the planet's "dayside" temperature, the side that faces its host star, exceeds 2,800C (5,072 Fahrenheit), which is impossibly hot and obviously not sustainable for life. Kepler 78b is located about 400-light-years from Earth in the constellation Cygnus, and rotates around its host star about every 8.5 hours. Imagine what that work day would be like. Scientists are actually a bit puzzled by the newly discovered planet because of how close it is to its host star—about a hundredth of the distance between the Earth and the Sun. One possible theory is that Kepler 78b is tidally locked, meaning that previously mentioned "dayside" is permanently facing toward its host star. Researchers have been unable to determine what it's like on Kepler 78b's "nightside." Pundits believe the Earth-like planet didn't actually form so close to its host star—it couldn't have moved there either, which is why it's so puzzling. Can it shed light on the fate of our own Earth billions of years from now? Kepler 78b is apparently so close to its host star that it's only a matter of time before it's completely ripped to shreds, though that won't happen for another three or so billion years. "It couldn't have formed in place because you can't form a planet inside a star," said Dimitar Sasselov, who works at the Harvard-Smithsonian Center for Astrophysics. "It couldn't have formed further out and migrated inward, because it would have migrated all the way into the star. This planet is an enigma." So not the paradise we might have hoped despite its similar Earth-like composition. Hopefully a similar fate doesn't eventually befall our own home planet. Though, if that happens, you and I will be long gone by then.